August 12, 2016 August 12, 2016 22robertsa 2016, NFL, NFL Scouting Reports, Picks & Previews, Uncategorized	Adrian Clayborn, Alex Mack, Atlanta, Atlanta Falcons, Courtney Upshaw, Dan Quinn, Devonta Freeman, Dwight Freeney, Falcons, Julio Jones, Matt Ryan, Mohamed Sanu, NFL, Paul Worrilow, Sean Weatherspoon, Tevin Coleman, Vic Beasley Jr. 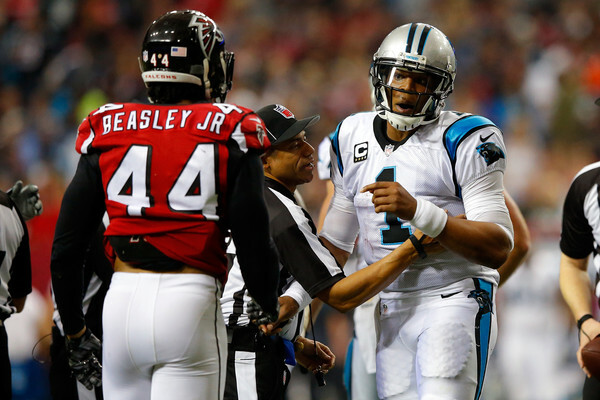 The Falcons were Carolina’s closest competitor in the NFC South last year. Most people think due to a weak division, they will be again. But I say no. The Falcons have some serious problems. They have no offensive depth, and the defense has some good players, but also some holes, underachieving players and depth problems. The Bucs are a big sleeper, and I think the Saints young receiving staff could even top what the Falcons have. Matt Ryan is being cocky by saying this offense can score 30 points a game. This team will have a rough ride, and Matt Ryan, Devonta Freeman and more overrated stars will fall. What does this team have to win? I know how much attention Devonta Freeman got last season, but with the kind of numbers he put up, and with Tevin Coleman healthy and ready to improve in his sophomore year, I think Freeman had a one and done season that will never happen again. He is a potential bust for the Falcons in 2016. Coleman underachieved last year, and he’s hungry to prove to defenders that he still is what he was in college. I don’t see him doing that badly again. I see at least 500 yards, and he could even come close to topping Devonta Freeman’s yardage this season, even with the Falcons counting on Freeman to start, at least to begin the season. Sanu may have not been as impressive in 2015 as he was in 2014 when A.J. Green and Marvin Jones were hurt, but Sanu is still a major underrated sleeper. 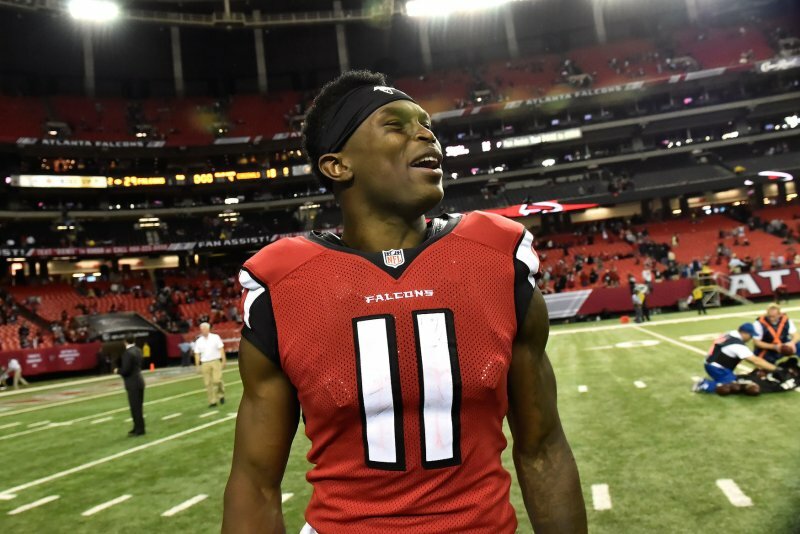 Having just one receiver ahead of him helps this year, even though Julio Jones is a little better than A.J. Green, so Sanu should get more targets. Sanu knew he didn’t want to return to Cincinnati, but this was an interesting and underrated free agent pickup by Atlanta. The Falcons clearly trust Sanu to step up this season, as they released Roddy White and return specialist Devin Hester, who’s probably the best ever at his position. The Falcons do have some depth at the position in Justin Hardy, Devin Fuller, Eric Weems and Nick Williams, the only key names are Jones and Sanu. Sanu is a big sleeper on the Falcons, and I think even with the offense struggling, him and Tevin Coleman will come through this season. The question is, will guys they trust like Matt Ryan and Devonta Freeman, even Julio Jones keep doing their job, and will problems at tight end and even the o-line make a mark? Since being drafted by the Ravens with an early 2nd round pick in 2012, Upshaw has never been an explosive player, and the Ravens have plenty of other linebackers that they’ve started in his place, like Terrell Suggs, Elvis Dumervil, and 2014 1st rounder C.J. Mosley. Suggs and Dumervil have been hurt a lot, but even in a starting role, he’s only racked up 5 sacks. He’s played in every regular season game since his NFL career started, and still only 5 sacks? Upshaw does have a lot of upside, but he will have to compete with the youngsters for a starting job in Atlanta after the Ravens declined his fifth year option. However, I think he’s a sleeper to rack up more sacks than he has so far in his career. If he finishes camp strong, he should take a starting job at outside linebacker opposite rookie Deion Jones or veteran Sean Weatherspoon, who came boomeranging his way back to Atlanta after a 1-year stint in Arizona. Courtney Upshaw could be a strong source for the Falcons pass rush this season. Trust me, he will show up! 1. Can the offense consistently be a force? That’s very tough to say. This offense has never been known for consistency, but when they do well, they do very, very well. the Falcons have usually either gotten off to a terrible start, or fallen apart after a potential playoff contending run. I don’t trust Matt Ryan and Devonta Freeman to consistently run this offense, although when Ryan finds his receivers in the games he performs in, the Falcons thrive. I see Matt Ryan as a bust. He usually is a dominant offensive force but it has tapered off over the last couple seasons, and since when is Devonta Freeman an elite RB based on one great year. If Freeman struggles, and then Tevin Coleman fails to fill the starting position has well, they could have a problem at RB. They will be missing elite Steven Jackson, who is lost in free agency, declining in condition as he ages. I don’t think this offense can be a consistent force, and that will be one thing causing the Falcons to have the terrible season I’m projecting. 2. Will some small defensive tweaks help in 2016? Vic Beasley Jr. is moving to defensive end, and the linebakcer corps is revamped with Courtney Upshaw and Sean Weatherspoon along with draft pick Deion Jones playing next to veteran Paul Worrilow. Beasley should be able to find his groove at a new position, and after a rookie year disappointment, could finally be the intriguing pass rusher he was in college. Upshaw, Weatherspoon and Jones are all getting a fresh start with a new team, even though Jones is new to the NFL, and Weatherspoon has been here before. The secondary even looks like a minor improvement, even with Jalen Collins suspended for a quarter of the season. Robert Alford now plays across from Desmond Trufaunt, and Ricardo Allen plays accross from Collins. I think in the end, the moves will add up to minor improvements in 2016, but nothing major, and it won’t quite make up for the problems on offense. 3. Matt Ryan and Devonta Freeman: STUD or DUD? I know Matt Ryan and Devonta Freeman have don some pretty good things in their past, but Ryan just doesn’t have it in him anymore, and Devonta Freeman looks to me like a one year wonder that will be overused in 2016, with Tevin Coleman being held to minimal touches, ready to break though. Ryan lost production in 2015, and I could see that continuing to happen to him in 2016, and this year Freeman. Both have overachieved at certain points, and really, this Falcons offense is going to have some serious problmes this year if they can’t even figure themselves out. I think this year is the year for some of Atlanta’s younger pass rushers to thrive. Adrian Clayborn, Paul Worrilow, Sean Weatherspoon and Dwight Freeney aren’t as productive as they used to be, and young pass rushers Vic Beasley Jr. and Courtney Upshaw could be sleepers to rack up double digit sacks. Personally, I see the duo will get between 8 and 12 sacks apiece, and the older guys will all be held to 5 or 6 sacks at most. Upshaw and Beasley are major sleepers, and the guys around them are getting to the age where their prime has ended and they can’t do what they used to be able to do anymore. Like I said earlier, I don’t think Devonta Freeman will ever be what he was last year again. Tevin Coleman was a highly drafted RB in the 2015 draft, and like a lot of the 2015 RB class, I think he should blossom this year. He may not get many carries to start the season, but once he gets the chance to prove he’s better than Freeman, his carries will increase, and he will thrive in the Falcons system. Tevin Coleman is a big sleeper, and I like what he’s doing, especially with my faith in Devonta Freeman pretty low right now. Julio Jones is a dominant wide receiver, but this year’s wide receiver group is domInant as well, especially with Jordy Nelson and Dez Bryant. I’m sure Julio Jones will break the 1500 yard barrier, but he is one of many that is highly capable. I expect Antonio Brown, OBJ, Dez Bryant, Jordy Nelson and maybe A.J. Green or DeAndre Hopkins to match that stat. Plenty are capable, and several will do it. I don’t even expect Julio to make the Top 3 in receiving yards. This wide receiver group is loaded, and lots of shocking stats will prove it. The Falcons have a couple winnable games, but have a relatively tough schedule, and the way things are looking, I don’t think the Falcons will fare very well. With revamped defense and young offense, Week 1 already boasts a tough match-up against the Bucs. Even at home, the Bucs are a major sleeper and I like Tampa to win this. That could be winnable though. Then they face a similar team in Oakland, that’s another loss, especially on the road. The Saints offense could be a little overwhelming for the Falcons secondary in New Orleans, and they will lose under road trip pressure. Weeks 4-6 boast some very strong opponents. They can not beat Carolina this year. The Broncos will be tricky and tough on the offense in a road match-up, and they definitely can’t beat Seattle on their own turf. They get a one week break at home, hosting the Chargers. I do think they can win this one, Stevie Johnson is likely out for the year, and although I do see some improvement in San Diego, nothing major will happen. This is an easy W for the Falcons at home. But it’s back to the tough schedule in Week 8 against the Packers, who will blow them out. Then they go to Tampa Bay. If they can’t beat the Bucs at home, it definitely won’t happen on the road. After a tough 6-week stretch where the Falcons go a horrid 1-5, they play one more game before the bye, in Philadelphia. The Eagles will be pretty bad as well, but still have enough in them to beat a sucky Falcons team with home field advantage. The team will enter the bye at a horrid 1-9, one of the worst first 10 weeks in the league. Then after the bye come another two terrible match-ups, as they host the powerful Cardinals and sneaky, underrated Chiefs. Two losses at home fresh off a bye is not good, but is bound to happen with these match-ups, much unlike what would of happened in these games a couple years back. They get a tough break at the end of the season though. One tough game stuffed between three easier match-ups. The first is against the Rams in Los Angeles. I have to give LA the win here though. At home, the Rams defense will outsmart Matt Ryan’s offense. They host the 49ers, which I think is an easy W for Atlanta. The Niners have it even worse then they do. The Falcons at least have stars on offense. That just isn’t there in San Francisco. They get beaten by Carolina on the road, but I think they will close out the season with a third win in New Orleans. With that weak a defense, this is one game Matt Ryan and the offense could thrive in. The Falcons will have a lot of trouble on the road, and the offense may struggle to get going. An inconsistent Falcons team will not win on the road, even with easy match-ups against the Eagles and Rams. I say they finish the season 3-13 instead of 2-14 or 1-15. 3-13 is pretty terrible, but at least the Falcons got those wins a little easier then the teams below them in my ranks, and hey, they won three easy home games. They were just inconsistent and did terrible on the road. Yes, even with a 3-5 home record. against Tom Brady’s Patriots. Brady will also be hungry for revenge after a suspension of his own. They also got Demario Davis on defense, but otherwise, this is the same old team. How many wins can the Browns even get with the talent they have? With Desmond Bryant out for the season, the Browns now have a hole at defensive end. They drafted both Carl Nassib and Emmanuel Ogbah at the position, but Ogbah is set to play outside linebacker for the Browns. That leaves Nassib with the starting job. He does have competition, Xavier Cooper is also strong at the position, but this third round pick was a very intriguing selection, a former walk-on at Penn State who broke out senior year with 15.5 sacks. The NFL may take some time for him to get used to, and NFL.com was concerned he could be a one year wonder, but personally, I think this rookie could be a breakout candidate, and this year is his oppurtunity with Desmond Bryant missing the season. I think this sophomore running back has more talent than Isaiah Crowell, at least potential talent at full development. The running back only had 104 carries for 379 yards in his rookie season, but this passing back also has put up 61 receptions for 534 yards and 2 TDs. If he fully develops, he could be a multi-purpose back that scores rushing and receiving touchdowns. I expect his TD numbers to go up in 2016, along with his total yardage. “No, I think you got the wrong Scooby.” Yeah. Wrong Scooby. This is Scooby Wright III. You probably haven’t heard of him. He’s an inside linebacker who was originally projected to be selected in Round 3 of the NFL Draft, but went to the Browns in Round 7 instead. Personally, I think this college stud should act like a third rounder on the Browns, possibly even fight for Christian Kirksey’s current starting job. I know, what’s with the weird names? In 2 seasons with the Browns, Kirksey, a third round pick in 2014, has only racked up 5.5 sacks. Wright racked up 14 sacks in the 2014 college football season, that’s more than one per game, after none in freshman year. The question is, can Wright put up the same numbers he did in his healthy years in college, and can he be consistent? In the three games he did play last year, he got 2 sacks. Can he put up the same numbers in all 16 games? Griffin never fully recovered. He was sidelined for the last three games for Kirk Cousins. Back then, Cousins wasn’t what he is now. He wasn’t developed yet, and at the start of 2014, RG3 earned the job back. Somehow, his terrible 2013 numbers passed for a starting job? The Redskins had a serious QB problem that year. RG3 got hurt again in week 2 and Cousins started for seven games. RG3 came back in Week 9, but he still did nothing. RG3 was still not quite back to what he was, and with Kirk Cousins shut down for the season with his own injury, the Redskins had to rely on Colt McCoy to start for the remainder of the season. McCoy eventually got hurt and RG3 had to start the rest of the season. In 2015, Griffin struggled regressively in the preseason, and lost his job to Kirk Cousins permanently, falling to third on the depth chart also behind Colt McCoy. Cousins broke out, leading the Redskins back to the playoffs in an easy division, and RG3 never saw action, and eventually was released. The Redskins must have been sick of his tactics. Then Cleveland signs him and names him starter? Over Josh McCown? After last year’s disgrace. Wow, Hue Jackson. Just, wow. Griffin looks promising in the preseason, but it’s not a guarantee he’ll get back to business, and stay healthy. I personally think he’ll do alright, but he still won’t be what he was, and I can’t tell you he won’t get hurt. Good move keeping Josh McCown, Cleveland. 2. 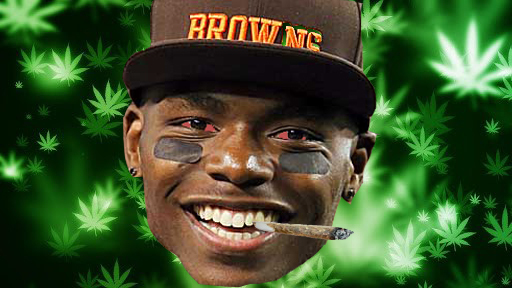 Will Josh Gordon perform well, and stay out of trouble? Most people believe Josh Gordon’s recent reinstatement will benefit the Browns. Personally, I’m questioning whether Gordon is in football shape. He’s battling a preseason injury for a reason. After a long suspension, it’s not easy to go back to what you were before the ban. Gordon will be able to play in preseason games, but will remain suspended for regular season games until Week 5. I don’t think Gordon will go back to being the guy who was a league leader in receiving yards right away. It will take time for Gordon to redevelop his skill, if he ever does. I’m starting to wonder, did the drugs affect his performance? It’s also not a guarantee that Gordon will stay out of trouble. If he has issues later in the season, he could receive more discipline. Gordon shouldn’t have even been reinstated in the first place! I think Gordon should be grateful he was reinstated, and drop the drugs so he can just play football again, but will he? 3. Will strong drafts in 2015 and 2016 pay off? In the last two years, the Browns have drafted many key players. Danny Shelton, Nate Orchard, Cameron Erving, Duke Johnson, Corey Coleman, Emmanuel Ogbah, Carl Nassib, Rashard Higgins, Ricardo Louis, Jordan Payton, Shon Coleman and Spencer Drango have all came from the last two years’ drafts. Most of these guys aren’t completely developed yet, but a lot of them have potential. Danny Shelton is a major breakout candidate, after decent numbers last year. He was a 12th overall pick, after all. Nate Orchard has contributed to the pass rush, as well. Cameron Erving could emerge into a starter, and Duke Johnson is blossoming into a work horse RB. In this year’s draft came four receivers. Corey Coleman should be an immediate force, while Rashard Higgins, Ricardo Louis and Jordan Payton could see receptions off the bench. Personally, I think Higgins and Payton are two underrated receivers that could fight for WR4 and WR5 jobs. I also think both o-linemen and pass rushers should see time on the field, Nassib could even start. I like the duo of Nassib and Ogbah to rack up 6 or 7 sacks. Personally, I think Drango is the best option at right guard. All these guys should eventually fan out, and some will affect the season. Duke Johnson is no one-trick pony, even in football. He doesn’t just scramble well, he makes catches. Personally, between his rushing yards and receiving yards and TDs he purs up, he’s an intriguing pick to lead Browns non-QBs in total yards and TDs. There is Gary Barnidge, who could go for more TDs, but although Barnidge should be starting material at tight end, he won’t match last year, or even come close. Josh Gordon will be missing 4 games, so Johnson has time to get a head start on him, and the rest of the receiving group hasn’t quite panned out yet, even Corey Coleman and Andrew Hawkins. What about Isaiah Crowell? Honestly, I think Duke Johnson will be started over Crowell this year. Crowell hasn’t proven to be a quality starter, and I would give the sophomore RB, part of a legendary rookie running back class a try at the starting job. Duke J0hnson is a major sleeper, and he will breakout in 2016. 2. Only 2 players will reach 8 sacks on Browns, but who? The Browns pass rush can be pathetic at times. Without Desmond Bryant, it will be even harder. Personally, I think that only 2 players will even rack up 8 sacks. Some of you might even be wondering who could do that? I like Paul Kruger personally. The veteran has had plenty of sacks in his career, 8 should be easy for him, if he can get back on track after a rough 2015. The other guy being Danny Shelton. Like I said, this guy is a major sleeper. I’d expect more from the former 1st round pick in 2016. He’s yet to earn a sack in his career. 2016 is his year, especially if he wants to keep the starting job. Hue Jackson sure likes to run the ball. He has two powerful running backs in his backfield, but why do they top backfields with guys like Le’ Veon Bell and DeAngelo Williams? Jeremy Hill and Giovani Bernard? Well, Bell will be suspended for the first four games, so his rushing totals will be cut in to, and DeAngelo Williams is an aging back. Jeremy Hill is good, but Gio Bernard also gets some of his yards in receptions. Isaiah Crowell and Duke Johnson are two underrated backs that could breakout, and it wouldn’t be bold predictions without a shocker like this. The Browns don;t have many opportunities for wins, so they must take advantage of the opportunities they do have. They open the season in Philadelphia against Doug Pederson’s Eagles. I think this game is winnable, as I am disgusted by the Eagles’ off season rebuild, but home field advantage should pay off for the Eagles, who should top the just as bad Cleveland Browns. The rebuilt Ravens should be tough as well. Then come matches against the Dolphins and Redskins. The Dolphins aren’t great, but they do have some mediocrity around the team. They just don’t compare to the rest of the league. But they are better than the Browns, especially when at home. The Redskins still have a strong receiving group, and the defense is getting better, definitely enough to top the Browns. They have absolutely no chance against Brady in his first game back, and a revamped Titans offense should thrive at home. Cincinnati may be on the decline, but they still have enough weapons to blowout the Browns. This would put Cleveland at 0-7. Then comes a mtch-up against the Jets, in Cleveland. I see home field advantage kicking in, and even with Ryan Fitzpatrick leading a strong Jets offense now, the defense has lost steam since last season, and the Browns offense, Josh Gordon, RG3, Corey Coleman, Duke Johnson, Isaiah Crowell and Gary Barnidge, should be enough to edge out the defense and get their first win. The Cowboys should be tough when nearly at full strength. DeMarcus Lawrence, maybe even Randy Gregory will be back, and I think the defense is underrated. In addition to a stellar offense, that should be enough to down the Browns in Cleveland, and if Cleveland loses to the Ravens at home, it won’t be any easier on the road, even with Josh Gordon in his sixth week. The Steelers’ QB/RB/WR combo is tough for the Browns as well, but in a division match-up, I could see the Browns splitting, and pulling the upset trigger in this game. Their underrated offense will take advantage of the Pittsburgh D, and the Steelers offense won’t do enough. They will be dealt a loss in Pittsburgh, though. The Giants’ revamped defense will compliment the offense and give them the road win. Going into the bye, the Browns would be just 2-10. If you count the Steelers match-up after the bye I called a loss, I have them at 2-11 so far. After the bye, they have two winnable match-ups. The first one is hosting the Bengals, another division match-up, but especially after how well the Bengals have done against the Browns, I don’t see the Browns beating the Bengals and Steelers and not the Ravens. So they lose that one. In Buffalo, the strong draft plus the developing talent they already had should be too good for the Browns. The second winnable match-up comes against the Chargers. Although the Philip Rivers led offense is intriguing, Hue Jackson’s underrated Browns offense should be all over a weak defense. Then they close up the season in Pittsburgh. They can’t win this game under any circumstances, and at 3-12, they will have given up already. I see a loss here. The Browns will never be that good without some moves, and I don’t see many winnable match-ups on the schedule. But this underrated offense could pull an upset or two, and I can at least see the Browns beat the Chargers at home and maybe the Jets. Two, three, maybe four wins sounds pretty reasonable, but they will likely place last in the conference. Welcome to my preseason team by team scouting report series. Each day in August and September 1, I will be previewing one team’s season, making bold predictions, answering team questions and telling you what sleepers and rising players to focus on. I will also give my input on the team’s schedule and remind you of my season prediction for that team. The 49ers may be one of the most stuck teams in the NFL. Even the Browns have a better shot of bouncing back from these tough times. The Niners have minimal defense, declining offense, and overall aren’t looking great. 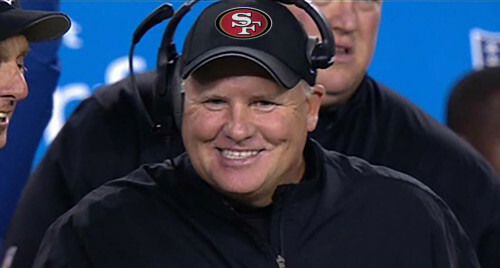 Chip Kelly doesn’t look to be the answer. But could there be some positives hidden between all the misery? How do I know? That’s one of many things I will show you today. I could say the entire linebacker corps should be monitored. They may not have stellar defense, or many stars, or enough to win more than 4 or 5 games, but they have some decent pass rushers all around. They actually ranked 18th in total defense last season. DeForest Buckner could make an impact as a rookie, veteran Ahmad Brooks and Michael Wilhoite could also step it up beside NaVorro Bowman, even guys like Glenn Dorsey or Arik Armstead. But I chose Lynch because of all these linebackers, Lynch has the most breakout potential. Lynch put up decent numbers in his first two seasons, and 2016 could finally be the year for him to pile up some sacks. Still, this defense isn’t great otherwise. Although he is more established as a special teamer, and he’s playing behind Torrey Smith and Quinton Patton, Ellington could be a deep sleeper. The 49ers could use another weapon for whoever starts at QB. It will make up for the problems at quarterback. Torrey Smith can’t do what he used to do anymore, and Quinton Patton never really established himself as a quality starter. Sure, he had 394 yards and 30 receptions in 2015, but that’s nothing for an NFL starter. If Ellington could do what he does on special teams on offense, that would be helpful. I know, Kaepernick has done nothing to prove himself in the last two seasons, and Blaine Gabbert looks to be the favorite to start unless training camp position battles change things, but if Kaep can get it done in training camp, he could win his job back. Then comes the big question. Will he ever return to his 2013, even his 2014 state? I think if he works hard enough in the preseason and regular season in the next year or two, that could eventually happen. Honestly, I think Kaep’s the starter around here. He’s the fan favorite, Chip Kelly’s favorite, and in the few scenarios where he does bounce back to his 2013 or 2014 form, it pays off. 1. Who will win the battle at quarterback? Personally, I think that this is Colin Kaepernick’s job to win. If he can have a strong preseason and stay in shape, I think he will win the job. It doesn’t matter how well Blaine Gabbert does, he’s not fit for a starting job. Kaepernick was once a quality starter, he just needs to prove he still has any willpower at all. A few years ago this wouldn’t have even been a discussion! I think Kaepernick will have a strong preseason, and things will come close, but in the end, Kaepernick will pull ahead and prove he’s still in starting condition. 2. Will we see major defensive improvements, finally? I think we will see some guys step it up this season. When they were good, the Niners had a powerful offense, and not the greatest defense, but they have a decent group of pass rushers, some veterans like NaVorro Bowman and Antoine Bethea, and an overall acceptable defense. They haven’t lost much since then, except quality plays from the same group of guys. I could see DeForest Buckner having an awesome rookie season, maybe Aaron Lynch or Ahmad Brooks and NaVorro Bowman will each give you a half dozen sacks, but nothing major. The 49ers are already in hot water on offense, it would sure be helpful to have an above average defense again. 3. Will the offensive line make things even tougher under center? The quarterback holes are already an issue. If the offensive line continues to have problems too, it wouldn’t be any help. They do now have Joshua Garnett at guard where Alex Boone was. Joe Staley is still in the mix at tackle. But there are still some problems on the right side, even though Kaep’s blind side is taken care of. Anthony Davis was reinstated after coming out of retirement, but is he still elite, and will he be in football shape? Who do they have behind him, Trenton Brown? Zane Beadles will be a help, but the issues surrounding him at right tackle and center will definitely make things tougher under center if they don’t take the next step. When someone asks me about Shaun Draughn, I would say, big sleeper. Carlos Hyde is already a workhorse RB when he’s healthy. He was the next man up when Frank Gore was still here. He’s healthy, now it’s time to shine. You can’t expect too much from Carlos Hyde in his first full season as a starter, no more Reggie Bush, and hopefully no more injuries. But 500 yards isn’t too much to ask from a 2014 2nd round pick. Shaun Draughn may also get some time in the backfield, especially if Hyde is still developing or getting hurt. This guy has been bouncing from team to team, being cut numerous times, maybe he’ll finally have a nice stay with the 49ers and work some yardage as a handcuff to who was once one of the top breakout candidates in the NFL. I know I only said minor improvements but come on! Eight sacks is nothing, at least for two of them, NaVorro Bowman and Ahmad Brooks. The wild card here, Aaron Lynch. I mentioned his name yet again. This guy got 6 and 6.5 sacks in his first two seasons, it’s time for him to make the leap. I could see 9 or 10 sacks out of him. Bowman and Brooks could even rack up 11, 12 even 13 or 14 for Bowman. I think the defense, especially the pass rush, could be the reason the 49ers win these games, at least the three I think they will manage to win. Half of you may have never even heard of one or both of these guys. Neither of them are elite tight ends like Rob Gronkowski or Greg Olsen. The 49ers just lack a wide receiver so badly that a low end tight end has a better shot at 750 yards than their #1 wide receiver. I actually think the tight end two are a pair of sleepers, that could easily beat out Torrey Smith for the most receptions on the Niners. I think which one of the guys leads in receptions has to do with who starts at QB. It seems like Kaepernick prefers McDonald, but Blaine Gabbert threw to Celek more. Will this happen? I’m pretty convinced. Any team at the Niners’ level’s schedule could be considered tough, but the 49ers do have a few winnable match-ups. The Niners open up the season hosting the Los Angeles Rams. The Rams have a strong pass rush but have holes scattered around the defense, especially in the puzzled secondary. Todd Gurley leads an offense that lacks receiving weapons for rookie quarterback Jared Goff. Tavon Austin had a decent 2015 season, but hasn’t fully proven himself yet. With the home field advantage, the 49ers should be able to use their own pass rush and rushing game to get past the Rams. 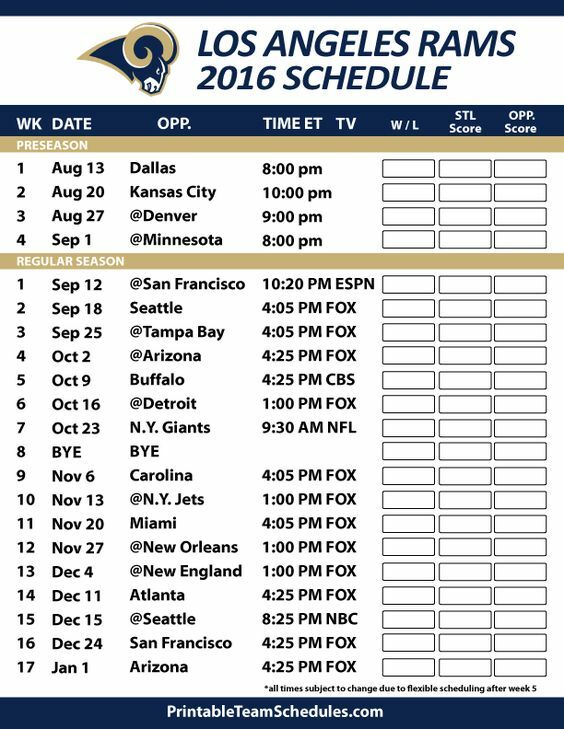 I don’t actually see much the Rams have that the 49ers don’t, but both teams will have a tough time in 2016. After that comes a 4-game stretch against some of the NFC’s best, Carolina, Seattle, Dallas and Arizona. They have decent match-ups against Buffalo and Tampa Bay after that, but they won’t get the W on the road, and the underrated Bucs should edge them. Then comes another NFC South team, the Saints. The Panthers and Bucs are out of the way, and personally, I think those two teams are the division’s only contenders. They have both acceptable offense AND defense, so they will thrive. Colin Kaepernick and Carlos Hyde should be all over the Saints D, and again they have home field, they’ll pick up the win. After two more tough match-ups comes two road games, against the Dolphins and Bears. Neither team is dominant, but both have the weapons to pick up a few wins themselves, and San Francisco will fall to them without home field advantage on their side. The easy end of their schedule continues, but they might actually have a chance in the second part because in between two pairs of road games is a home game hosting the Jets. Resigning Ryan Fitzpatrick will help the Jets, but the few 49ers sleepers should edge out the Jets D and win. The Falcons and Rams are up next after that, on the road. Neither of those teams are very good, but they should edge out the 49ers, considering they have home field advantage, and personally, I think the 49ers are the worst team in the league, despite having the ability to pick up a few wins. In Week 17, even though the Seahawks may not need the game to make the playoffs, they’ll go for it and take down San Francisco to get past the Cardinals for the division win. The 49ers won’t do much without a reliable QB or receiver, plus poor defense, but with a reasonable schedule, I think they pick up 3 or 4 games and make sure the worst team in the league has at least one win. 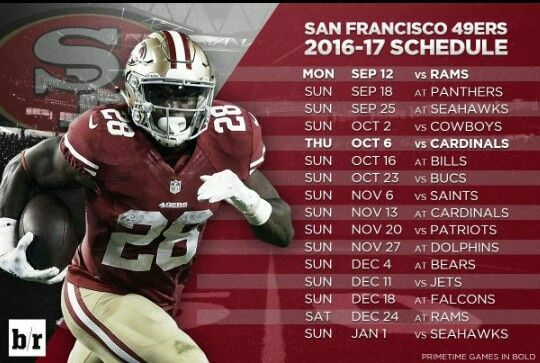 The 49ers should be able to pick up a few wins with a reasonable schedule, but you never know with this bad a team. The 49ers are still an NFL team, but they won’t replicate one very well, and may have regressive offensive struggles throughout the season despite slight improvements on the defense, which was already close to average.